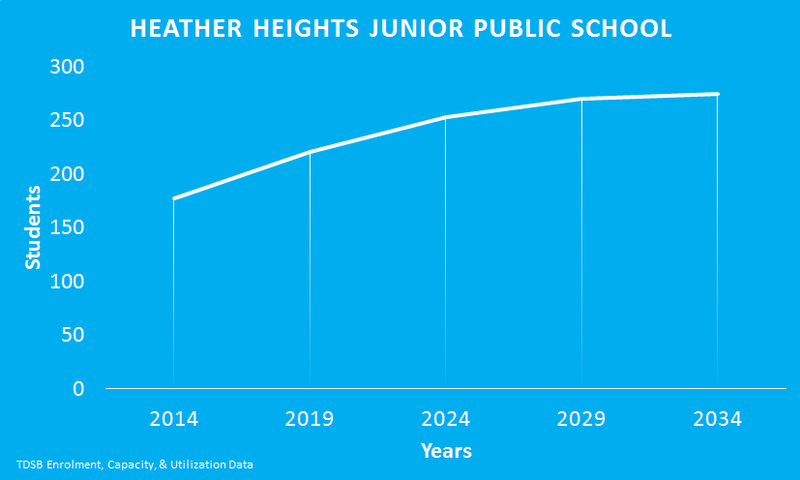 The TDSB projects that Heather Heights Junior Public School’s enrolment will dramatically increase over the next 20 years. Heather Heights Junior Public School shares a building with the Ben Heppner Vocal Music Academy (72 students). Heather Heights Junior Public School supports students through a Safe and Caring Schools program for Primary and Junior students and an alternative program for high school students.